We are looking for a qualified English Teacher in the Arusha area preferably that may be able to teach English temporarily at our Secondary campus in Usa River, Arusha. The candidate will be required to work 5 days a week for a period of 3 months effective Mid-March 2018. • Keep up to date with developments in the subject area, with new resources, teaching methodologies and national objectives. • Minimum of a Bachelor Degree in Education majoring in English from a recognized College or University. • Must have 2 years of working experience. • Demonstrate the ability to communicate effectively in English, both orally and in writing, using proper grammar and vocabulary. • Demonstrate excellent organizational skills and the ability to motivate student. • Have excellent integrity and demonstrate good moral character and initiative. 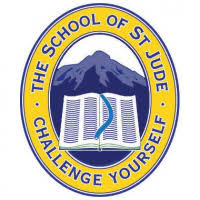 Interested Candidates are kindly requested to send their CV accompanied by a Cover Letter torecruitment@schoolofstjude.co.tz.EDUSPORTSTZ inakutakia maandalizi mema ya siku. inakuomba kulike facebook page yetu au kufollow kupitia blog eneo la follow by email ili kutumiwa habari kwa wakati.